March 30, 2017, Cedar Rapids, IA – Six locations in Iowa will host local competitions for the Small Business Administration InnovateHER Challenge. The SBA InnovateHER Challenge is for female- and family-focused companies. Last year, The New Bohemian Innovation Collaborative (NewBoCo) helped coordinate four competitions in Iowa. This year, NewBoCo along with five other organizations are hosting pitch competitions from Des Moines to the Quad Cities. Last year, the big winner was UpCraft Club’s CEO Elizabeth Caven, an Iowa-based startup. She won InnovateHER Des Moines at Gravitate and went on to win first place from the SBA and $40,000. 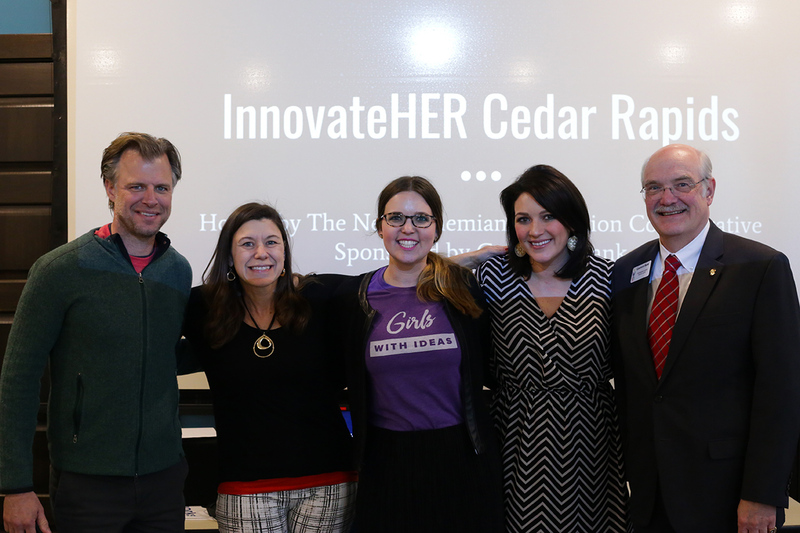 The first InnovateHER Iowa competition was held in Cedar Rapids on Thursday, March 23. Girls With Ideas won. Guaranty Bank is sponsoring locations throughout the Corridor.